The wait is finally over for the smoke-choked and rain-deprived Bay Area. The first of two storm systems this week arrived Wednesday, dousing the region with much-needed rain and clearing out the wildfire smoke that has been choking the area for nearly two weeks. While the rain is a welcome sight for a parched California, it comes during the busy Thanksgiving travel period. The wait is finally over for the smoke-choked and rain-deprived Bay Area. The first of two storm systems this week arrived Wednesday, dousing the region with much-needed rain and clearing out the wildfire smoke that has been choking the area for nearly two weeks. While the rain is a welcome sight for a parched California, it comes during the busy Thanksgiving travel period. Waves of rain will move across the Bay Area throughout the day Wednesday, according to weather officials. After a break during the day Thursday, a stronger system is expected to arrive Thursday night and saturate the region through Friday. Some cities could receive up to an inch of rainfall on Wednesday alone, the National Weather Service reported. 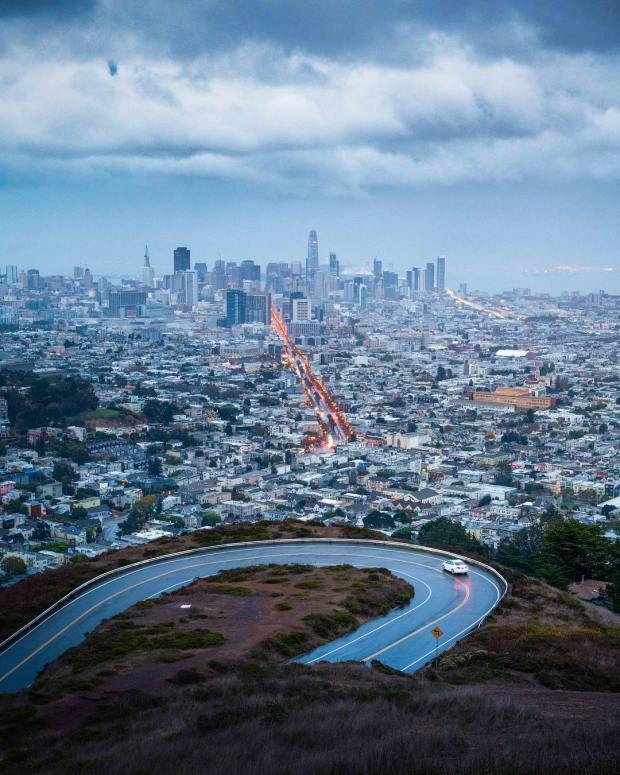 San Francisco hasn't seen an inch of rain or more fall in one day since April 7. San Jose hasn't been drenched with an inch or more of rain since Jan. 8. By the time the second storm system rolls through by the end of the week, some locations in the North Bay could pick up anywhere from 1 to 3 inches of rainfall, according to the weather service. Most locations immediately surrounding the San Francisco Bay could accumulate 1 to 1.5 inches of rain. Spots in the South Bay are expected to collect one-half inch to 1 inch of rain. Over in the Sierra, snow is expected to fall on elevations above 6,000 feet, according to the weather service. Between Wednesday and Friday morning, as much as 18 inches of snow could fall at Ebbetts, Sonora and Tioga passes, which are all located south of Lake Tahoe. Donner Pass near Truckee could pick up as much as one foot of fresh powder. Officials are advising motorists to prepare for delays if they're traveling through the mountains during the Thanksgiving holiday. As of Wednesday morning, at least 42 arrival and departure flights have been canceled at San Francisco International Airport, according to officials, and over 200 flights were delayed. One flight was canceled at Norman Y. Mineta San Jose International Airport and eight were delayed, airport officials said.